Meet Luna, an incredibly cute, happy, and intelligent German Shepherd puppy. Her owners contacted me for Puppy Training in Shrub Oak NY. Early puppy training focuses on housebreaking, puppy biting, crate training, leash walking, and beginner obedience training. Puppies are just like children, in that they are always learning and taking in information. That’s why early puppy training is so important, because we are able to lay a foundation that will last a lifetime. Teaching your puppy what you want (the good choices to make), is the best way to prevent unwanted behaviors. We started Luna off on my at-home puppy training in Shrub Oak NY, because she is going to be a big strong adult dog, so it’s best to get ahead of the curve and teach her the right way from the start. I work with nearly two hundred dogs every year, and I always encourage owners to start training before problems occur or at the onset of unwanted behaviors. 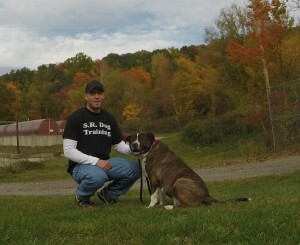 Luna is excelling at her puppy training in Shrub Oak NY, as this is only her second obedience training session. Using a proven dog training system, we are able to train any dog, regardless of breed, age, or size. The fundamental commands I teach all my clients are, Come, Sit, Down, Stay, Place (teaching them to go to their dog bed), Heel, and Drop It. These are part of the 5 Obedience Commands to Make Life Easier. 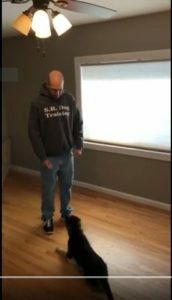 The key is to get your dog to the point of true reliability, where your dog will listen to you “out in the real world”, around a heavy level of distractions and without the need to treats.